From metal springs to translucent blades, shoes are looking crazier every year. This summer has boasted a nice spread of running debuts including adidas&apos; next level midsoles and Newton&apos;s latest transitional shoe. These are The Craziest Looking Performance Sneakers Available Now. Best For: Indoor athletes and tracklete stunners. Key Feature: SpringBlade technology utilizing "energy blades" to return energy with the help of 16 angled blades. Sixteen polymer blades create the out-of-the-box look of the SpringBlade. This shoe is easily the craziest looking one of 2013 so far. Best For: Runners looking to try something new. Key Feature: Cloudtec midsole works like a spring to return energy to your feet with every stride. 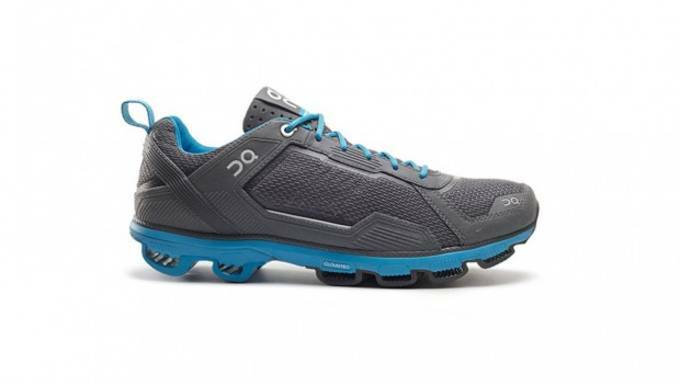 Decievingly light, the On Running series comes highly regarded by few runners and highly detested by others. We have yet to try them or hear back from the brand, so for now we&apos;ll give mean props to their cloud-like approach to midsoles. Best For: Athletes looking to experiment. Key Feature: Literally a mattress for your feet, this shoes features three re-engineered springs throughout the midsole. The Spira takes the whole mattress / spring-like return to a whole new level, featuring medal springs in the midsole of the shoe. While these might not be the craziest looking shoes on the outside, knowing that literal springs are incorporated makes all the difference. Best For: Neutral Runners looking to impress. 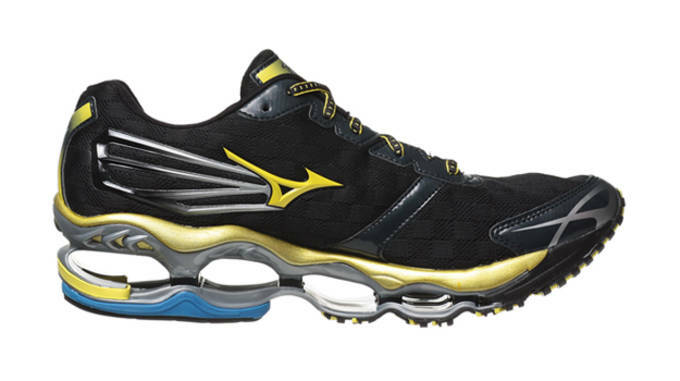 The original Mizuno Wave Prophecy turned heads in its debut 3 years ago, now just in it&apos;s sequel version the 2 is equally surprising. While suspension soles are nothing new, we&apos;re certain they&apos;ve never looked this fast before. 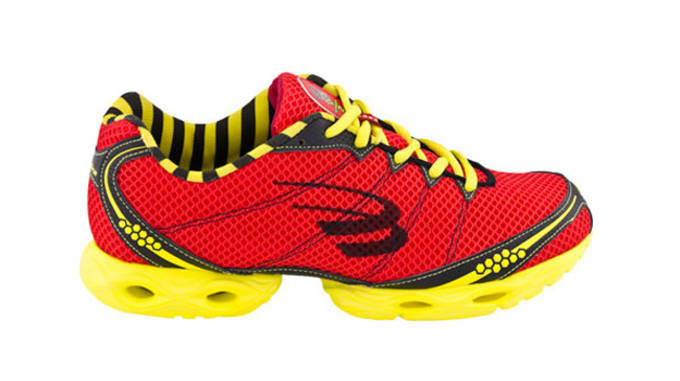 Best For: Triathletes looking for a minimal ride and an easy transition shoe. Key Feature: Sockless comfort on a drainage sole makes for an equipped tri shoe. 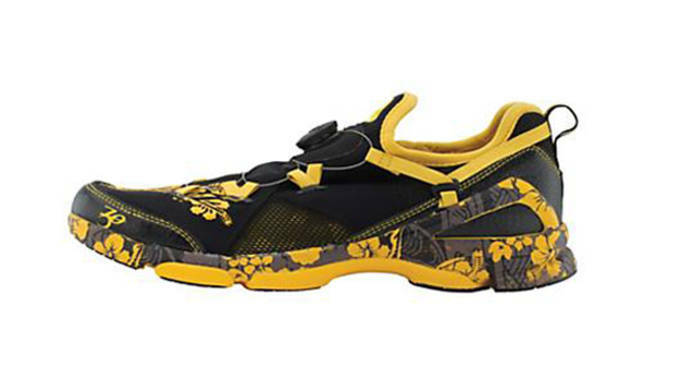 Water drainage meets crazy midsole camo for a dangerous looking tri shoe. With pull tabs and a BOA closure for an easy entry, the Zoot Ultra is one different looking runner. Key Feature: 19 individual lugs, all acting as their own independent suspension system. 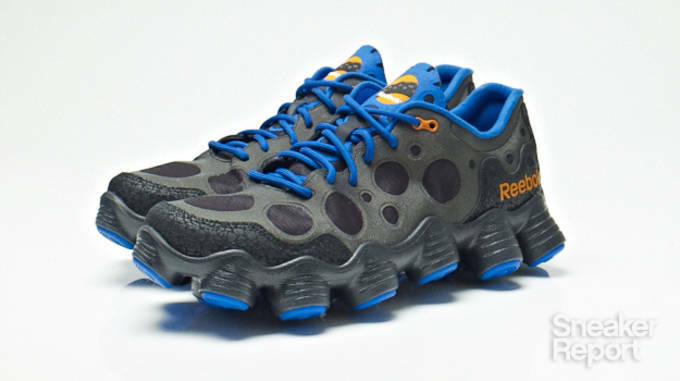 One of Reebok&apos;s wildest design yet finds its inspiration from an ATV allowing you to go from terrain to terrain and not miss a beat. The 19 massive lugs sticking out from the sole each act as their own independent suspension system keep your foot adjusting to any surface. Key Feature: Takes the Flyknit Technology and clashes with a free sole for the ultimate lightweight and natural feel. 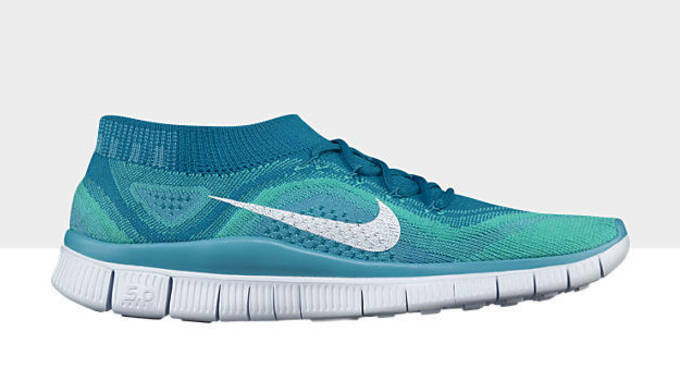 Though the Nike Free outsole is nothing new, to see the Flyknit sock overtake the Free refines this technology that&apos;s nearing a 10 year anniversary. Best For: Midfoot strikers seeking a midfoot transition. Key Feature: Let&apos;s call it Newton&apos;s Action/Reaction technology for dummies. 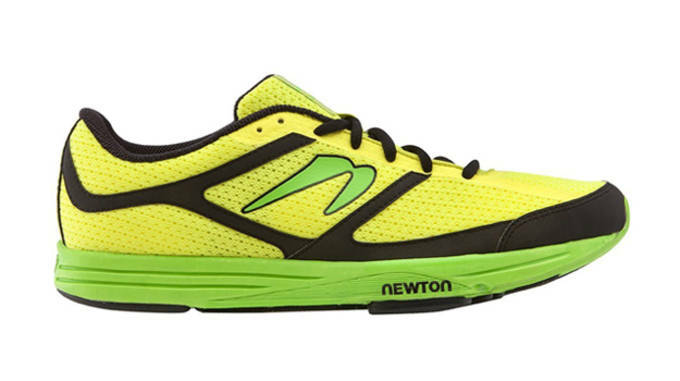 Newton Running is known for its crazy approach to running outsole technology, but for the brand to take it down a notch to appeal to the everyday consumer is a welcomed surprise. Visually crazy? No. Conceptually amazing? Yes. Best For: Runners looking for an extra boost. 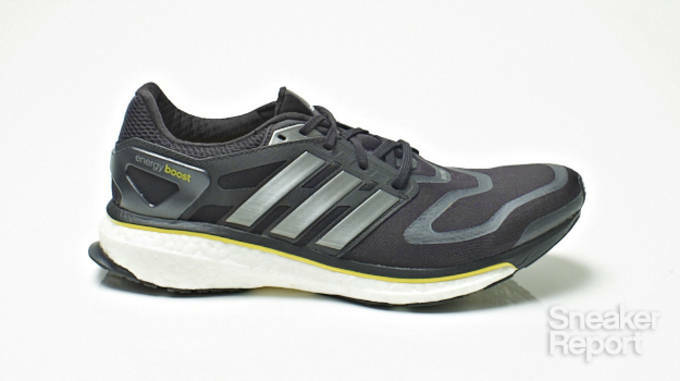 Key Feature: Energy Boost technology enables a bouncy ride for runners, supplied by the innovative material visible in the midsole. Ah, finally midsole that looks like a glob of Styrofoam. 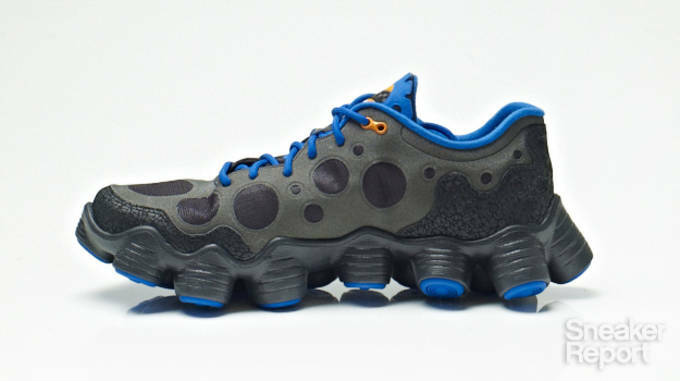 Joking-- the expanded TPU capsules that make up the Energy Boost looking like one of the most environmentally unfriendly materials on earth is just ironic, this technology is actually extremely innovative for the brand. Energy return is a reality with this next level runner. 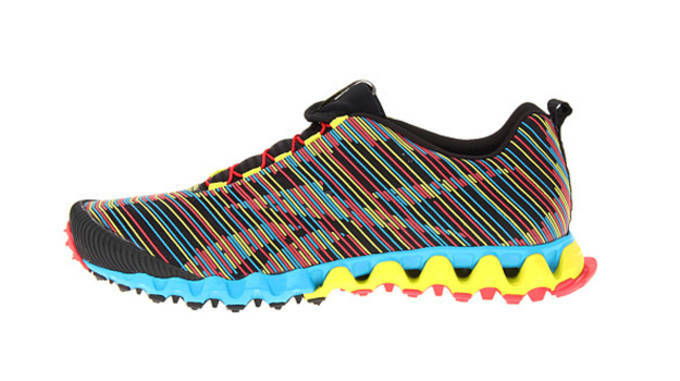 As much as it stands out visually, the ZigMaze II keeps up in the gym. The tough strands of lightweight synthetic keep the upper strong while the speed lace system will allow you to look your foot in without any trouble. Best For: Heel to toe, this shoe does the forward motion for you. Key Feature: Unique by design, this shoe could be described as looking like quite a dinosaur. For some runners, this shoe is all they&apos;ve ever needed with a forward fulcrum ride and all the support they&apos;ll ever want. 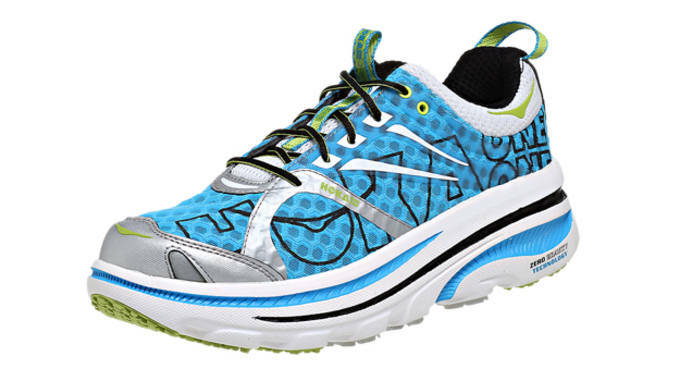 Call them crazy, but if you&apos;re looking for a fully supportive shoe for an all terrain ride, the Hoka might be your answer. Who said less is more?